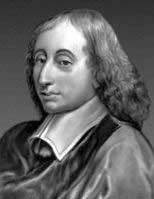 The prominent french mathematician, physicist, and philosopher Blaise Pascal was born in Clermont (now known as Clermont-Ferrand), Auvergne, France, on 19 June, 1623. His father, Étienne Pascal (1588–1651), was the deputy president (judge) of the local tax court (a position that he had, according to the tradition of the time, purchased from the government) and member of the "petit noblesse", who also had an interest in science and mathematics. His mother was Antoinette (nee Bégon) Pascal (1596-1626). Pascal had two sisters (actually three, but one of them died as a child)—the younger Jacqueline (1625-1661) and the elder Gilberte (1620-1687). Pascal was cradled in wealthy, but not happy circumstances. His mother died when he was only 3. Despite of the attention, paid to him, the child was often sick. The poor health remained his companion until his early death. In 1631 the family moved to Paris, where Étienne took charge of the education of his son, who soon showed his worth as a child prodigy. Pascal appears to have had no formal education, but was taught by his father and private teachers in grammar, Latin, Spanish, and mathematics. 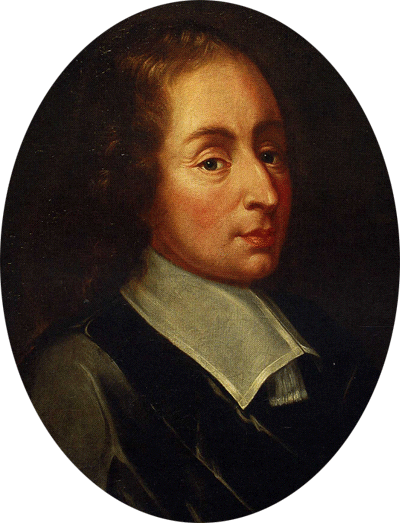 At age 13, Pascal and his father began attending discussions in Paris with a group of scientists and mathematicians, such as René Descartes, called the Mersenne's academy (Académie Parisienne). By the time he was 16 years old, Pascal had already done a significant amount of his mathematical ground work. In 1639 the family moved to Rouen, the capital city of Normandy, where Étienne was appointed king's commissioner of taxes. In 1640 Pascal published a pamphlet, Essai sur les coniques, which was a vital step in the development of projective geometry and it contained what came to be known as Pascal's mystic hexagram. Pascal began writing this treatise on conic sections to clarify the 1639 publication of Gérard Desargues "Experimental project aiming to describe what happens when the cone comes into contact with a plane", which was very difficult to understand, even for other mathematicians. Pascal developed his own theorem which he used to deduce some 400 propositions as corollaries. When he presented his findings to the Académie Parisienne, Descartes could not believe a 16-year-old boy had written this work. Soon after this pamphlet was published, in 1641, Pascal's health began to decline. He suffered from headaches (perhaps caused by a deformed skull), insomnia, and indigestion, but he continued his work. To help with his father's lengthy tax work in Rouen, in 1642 the young genius began work on his calculating machine, which was the first working mechanical calculating machine (machine of Pascal). In 1649 he received a monopoly for manufacturing and producing his calculating machine. In 1646 Pascal became part of an anti-Jesuit Catholic sect called Jansenism, which believed in predestination and that divine grace was the only way to achieve salvation. In the same 1646 Pascal began his barometric experiments and continued them for eight years. He used the theories of Evangelista Torricelli as a starting point for his work. In the experiments, he had his brothers-in-law climb Puy de Dôme (a peak near Clermont) with tubes filled with different liquids to test his theories. Basing on the results of his study, Pascal invented the syringe and the hydraulic press. More importantly, he delineated what came to be known as Pascal's principle, which says that pressure will be transmitted equally throughout a confined fluid at rest, regardless of where the pressure is applied. In 1654 he completed a shorter work devoted to the laws of hydrostatics and to the demonstration and description of the various effects of the weight of air. This work, Traité de l'équilibre, was published posthumously. Upon the completion of his work on hydrostatics Pascal turned to his studies on arithmetic, combinatorial analysis and the calculus of probability. In 1654, Pascal and Pierre de Fermat began writing each other about problems on dice and other games of chance. The fruition of Pascal's correspondence with Fermat came in 1658, when he was trying to forget the pain of a toothache. Pascal came up with solutions to problems related to the curve cycloid, also known as roulette. He solved the problems using what became known as Pascal's arithmetic triangle (also known as the triangle of numbers) to calculate probability. His results were published in 1658 as Lettre circulaire relative a la cycloïde. This work played a major role in the development of calculus, both differential and integral. With this framework, areas and volumes could be calculated, and infinitesimal problems could be solved. The Pascal family returned to Paris in 1647. His father died there in 1650, and his sister Jacqueline entered the Jansenism Convent at Port-Royale. Pascal himself had a profound religious experience four years later on the night of 23 November, 1654. That night, Pascal was nearly killed in a riding accident. A few months later, Pascal left the secular world to live in the Port-Royal Convent. 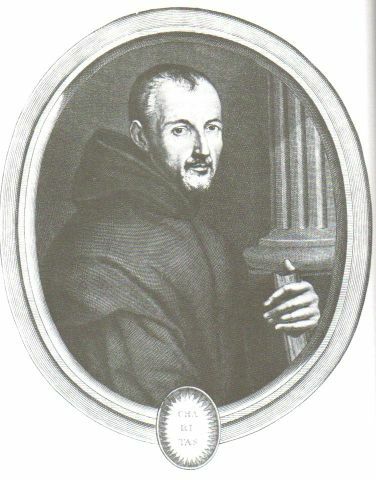 At the request of the Jansenists, Blaise generally abstained from scientific pursuits and devoted himself to the castigation of the Jesuits and the atheists. He did a little more work in mathematics and science, but primarily published religious philosophy. Though Pascal had been sickly all his life, his health became much worse later in 1658. His last project was developing a public transportation system of carriages in Paris (carrosses à cinq sols) in the first part of 1662. Pascal did not however, live to see the system running, dying in great pain in his sister Gilberte's home on 19 August, 1662, probably of ulcers and malignant stomach cancer. Pascal was often underestimated in his time, and the bulk of his work was published posthumously. For example, Traité de la pesanteur de la masse de l'air was published in 1663, and Traité du triangle arithmétique in 1665, although these are only two of many. No doubt, Pascal is one of the greatest might-have-beens in science. There's no telling what he might have accomplished had he not died at the age of only thirty-nine and had he not entered the Jansenist convent so young. To a large degree, his extreme religiosity was fueled by agonizingly poor health and a pent-up sexuality (he apparently was a homosexual) and he flagellated himself for more than his share of sins.